We had beaten Hearts early in the season thanks to a gem from Louis Moult, after the team of 'laptop boss' Ian Cathro had fallen apart. A deflection in a truly appalling game gave them honours at Tynecastle and a last-gasp scramble – the first goal they had conceded in eight games (eight!) - earned us a point in the last tussle. A clichéd game of two halves seemed likely as Hearts roared back to level with a penalty and expose our limitations in brutal fashion. No matter how much you're willing to chase, tackle or head, you cannot beat the ball if the opposition control it and move it. But our defence stood relatively firm in conceding only two chances – Kyle Lafferty struck the inside of the post when he should have scored and was denied by a stunning Trevor Carson save. Almost imperceptibly the game began to change. Were we simply fitter? Came off the ropes? Did Hearts decide to settle for a replay? Who knows, perhaps all or none of the above. But in the closing 15 minutes we were the slightly better team. Not that we looked like scoring, however, until captain Carl McHugh had the moment of the game/his career/his life. 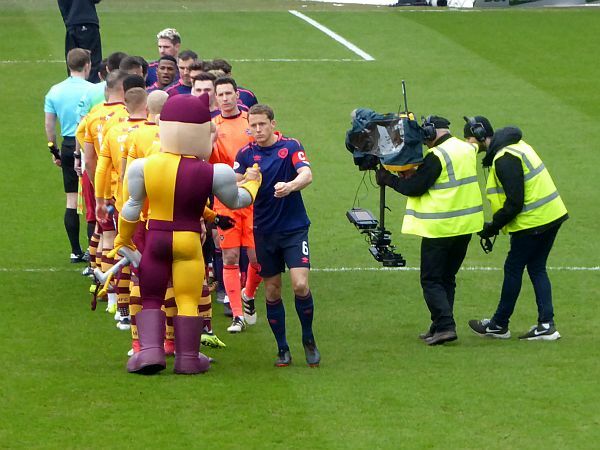 An 87th minute clearance was controlled on his chest and promptly volleyed into the top corner with his weaker right foot and Fir Park erupted. There was time for Hearts to fail in a hugely optimistic penalty appeal and that was that. McHugh's goal was worthy of winning any game anywhere in the world and has already entered Motherwell folklore. Should we go on to lift the trophy, long debates will be had over whether it surpassed Colin O'Neill. Elsewhere, neither of the Old Firm slipped and Kilmarnock stumbled when it mattered as Aberdeen beat them on penalties – but at a cost of three suspended players. We received the ideal draw for a change with Aberdeen at Hampden while Rangers – hilariously – roared in anticipation of meeting Celtic.